Captoglove has it’s own captosensor in the gloves so I think it has already it’s own leap motion’s like sensor. But I think captosensor is still optimizing their firmware / software that should be ready probably before Christmas. I am not sure how the 2 products would compare. Probaboy on paper captoglove can do more than these gloves becasue captogloves has finger gestures/sensors with bending fingers and else . It is more versatile . But captogloves will be able to achieve more than probably many gloves , when they finish with their software . Yes, I think u are right about the leap sensor of these gloves. It can’t probably hook on a pimax without any specific hook/connection to the pimax. The gloves has been shipped to me and I should receive them soon. I will try to post some thoughts about it when I get them. Does anyone know if there are and where are sensors in front of the pimax 8k? The steamvr integration for the vrfree gloves is on its way for the 22nd of March! Now we just need the adapter to mount the vrfree module on the pimax 8k. 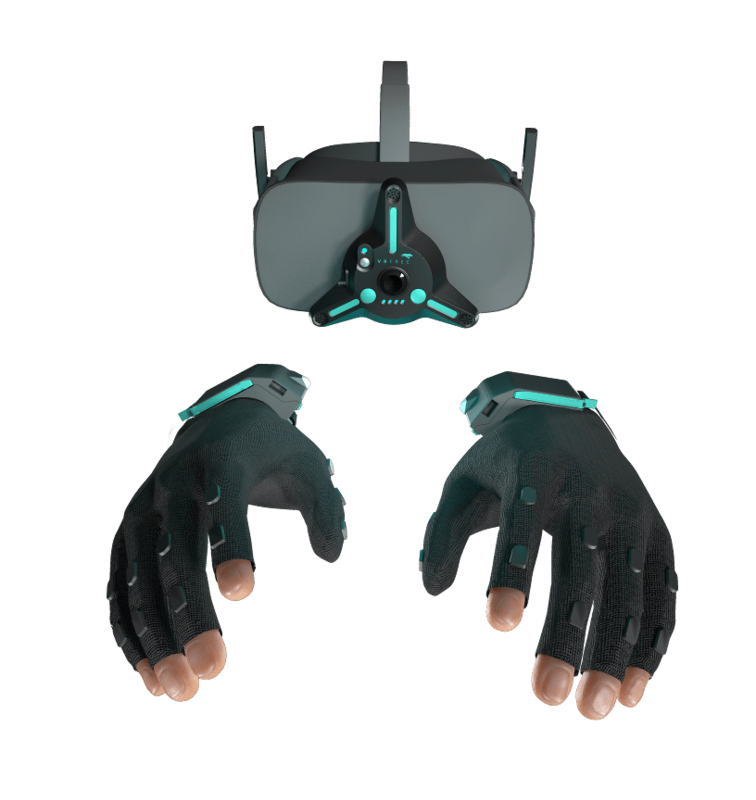 The steamvr support for the vrfree gloves is out! My fingers are tracked as the leap motion and when my hands move , the vive trackers move. So we get hands and finger tracking in steamvr. I need to try in game. The batteries of the gloves died because i have never charged them. I will test in a few hours. That’s cool, would be great to use in e.g. Skyrim. I have tried them only in steamvr for now. I am having issues in calibrating the gloves. The gloves are shifted on the left. What is the dimensions of the screws that fot here at the bottom of the 8k? Also , can i connect the usb of the vrfree glove directly to the usb under the pimax 8k headset ? Would the pc see the USB peripheral connected to the pimax? Sorry my ignorance , but in simple words it means that whatever i connect to that usb on the pimax, communicates with the pc ? Stupid question but is there any benefit from getting these gloves? Can’t imagine playing games like Beat Saber without something to hold. And are they still available?